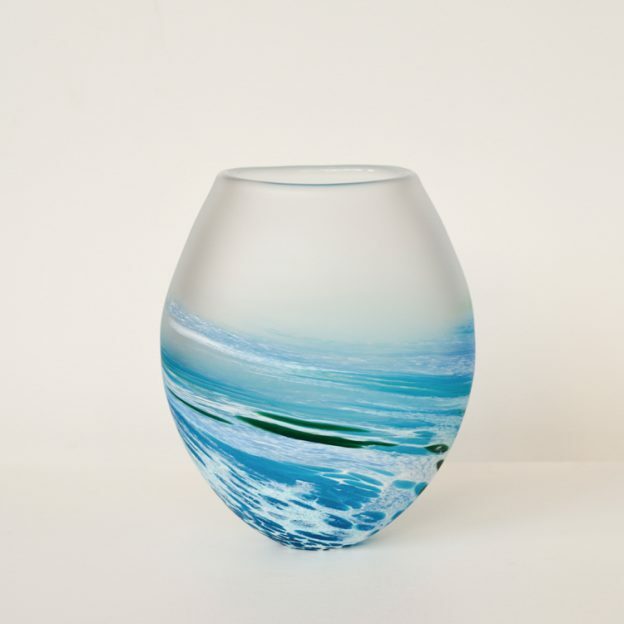 Richard Glass - Seaspray Vessel - 45 Southside Gallery, Barbican, Plymouth. Approx. Measurements: H23cm, W19cm, D10.5, Base 5cm. This entry was posted in Glass, Online Gallery Overview and tagged Art, glass, Handmade Art, richard glass on January 9, 2016 by 45 Southside.